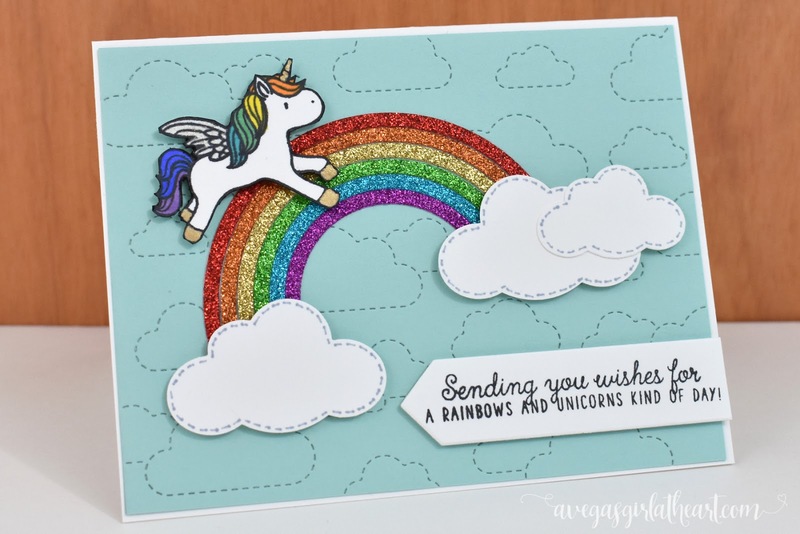 Today I have a card for you that is so bright and fun! It's been a gray, dreary week here in MA, and I think I just needed something cheerful. I filmed this one too, so you can watch me make it. This video took me awhile to trim down - I had over 30 minutes of film time that I cut down to just over 8. 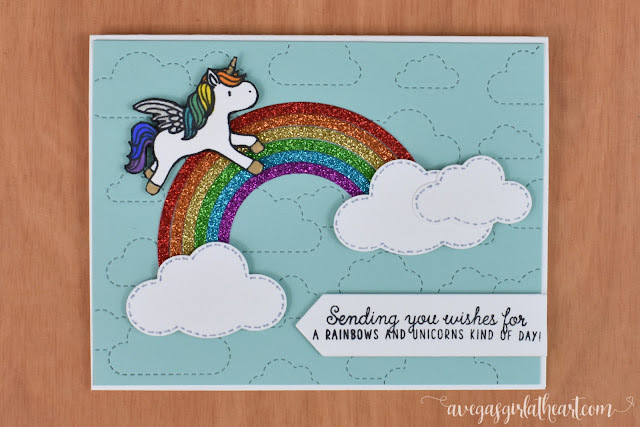 I used the Mama Elephant Unicorns & Rainbows stamp set, along with the Paper Smooches Rainbow die and the Lawn Fawn Stitched Cloud Backdrop die to create this card. First, I trimmed a piece of Stampin' Up! 's Pool Party card stock and then ran that through my Big Shot with the Stitched Cloud Backdrop die. I just love the detail. 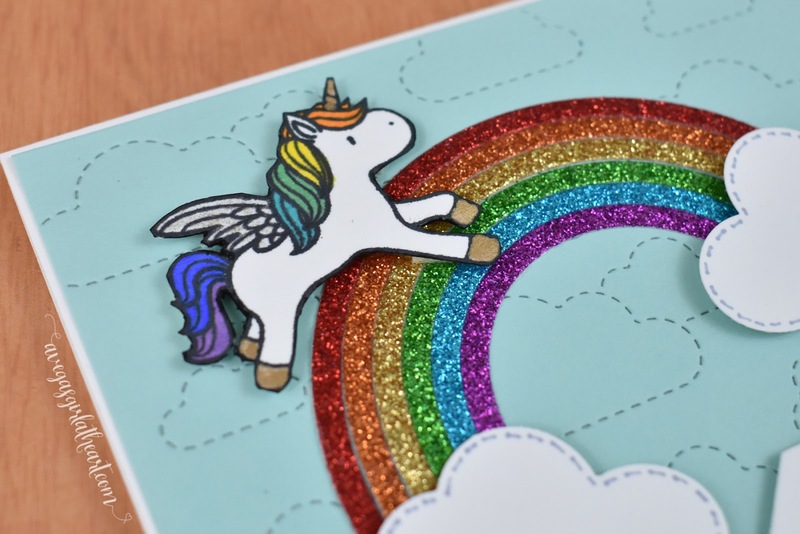 Next I ran several different colors of glitter card stock through with the Rainbow die to create the different colors for the rainbow. I punched the clouds using two different sizes of Fiskars cloud punches. 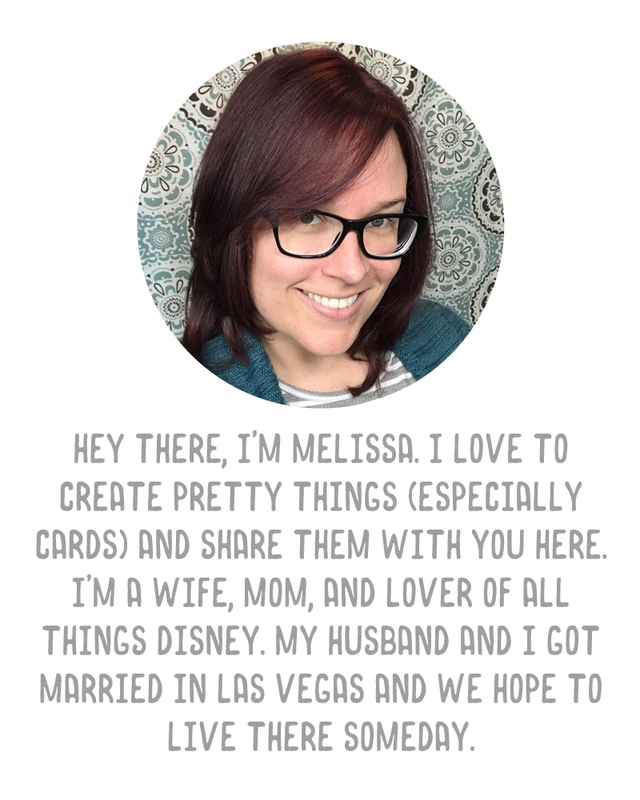 I have three of these that I picked up awhile back at a craft show really cheap, and they were perfect for this card. For the unicorn, I stamped it with Memento Tuxedo black ink, and colored it in with a mix of Copic markers, Spectrum Noir markers, and Gelly Roll pens. Then I carefully trimmed it out with scissors and a craft knife, and ran a Memento marker along the edge to clean up where I didn't cut so well. I stamped the sentiment and cut that out using an older Stampin' Up! Project Life set die, and then attached everything to the card. I used double sided foam tape behind the sentiment, clouds, and unicorn to add dimension.